Fatherhood is a powerful thing. There is nothing quite like knowing that there is a tiny human being who is counting on you for his or her safety, security, example, and love. In honor of June being the month of Father’s Day, we spoke to a few seasoned dads about what they wish they had known about fatherhood before becoming fathers, and what they wished their wives knew about the awesome (and sometimes daunting!) reality of being a new dad! 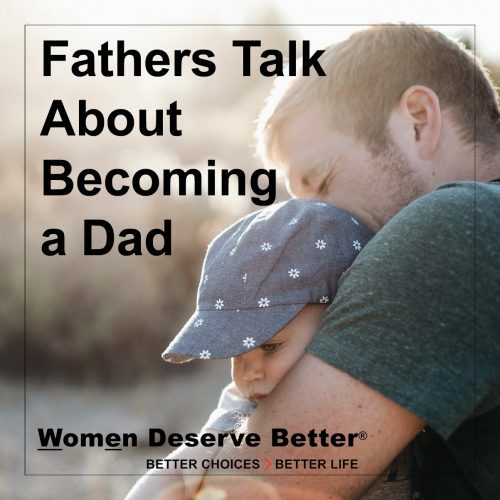 We hope that hearing from fathers just like you will give you even more confidence in your own fatherhood. You are not alone, Dad, and you’ve GOT THIS! Q: What did you wish you knew about fatherhood before becoming a dad? Q: What did you wish your wife understood about new fatherhood after your first child was born? True feminism champions equality, not putting women first over men or their children. Feminists for Life welcomes men. We honor and support fathers as well as mothers who are in school, in the workplace, and at home. 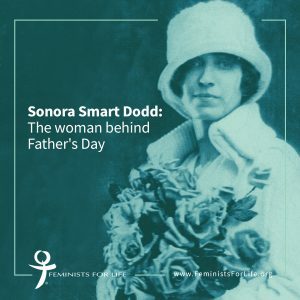 Check out our profile of Sonora Smart Dodd this Sunday on our Facebook page! We wish all the dads who are present in the lives of their children the very best Father’s Day. And we also remember those who have passed. For those who have lost their relationships with their children, we wish you a path that reunites you in the best possible manner and good outcomes for all. P.S. If you wish to make a gift in tribute or memory of your father, or anyone else, you may do so here. Thank you for supporting our work for women, children, and yes, expectant fathers and dads.